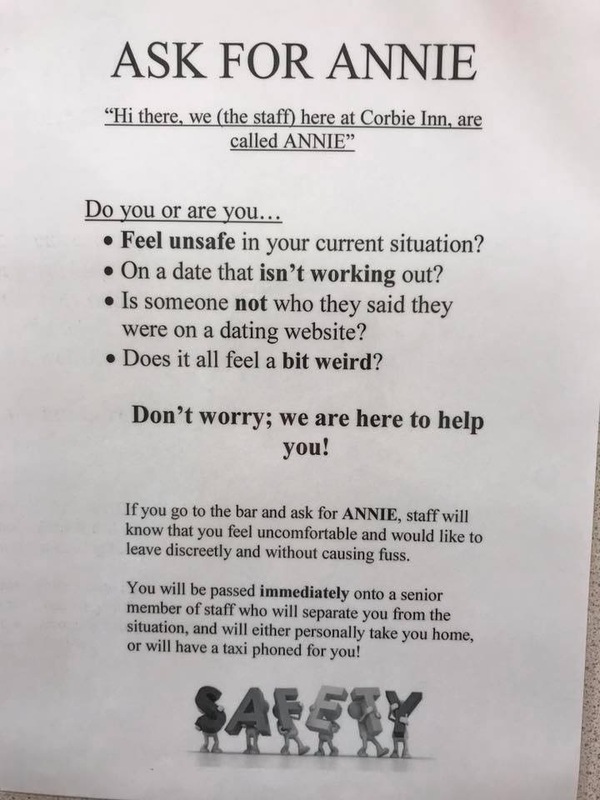 The attached photo was found on the back of the Ladies toilet door in a pub in Scotland. 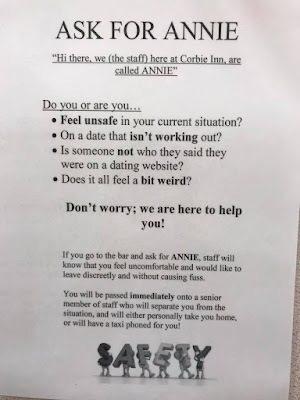 I understand that this arrangement is common in Townsville, Australia where you ask for Angela. I would love to see this become available at every pub across Australia, even in #Unley. It would be nice to have just one name (to ask for) across Australia. A really great idea. It would be good to see it adopted across the nation.